Our Fully Qualified Gas Safe Engineers Are Among The Best In Crystal Palace. Are You A Landlord In SE19 Requiring A Gas Safety Check & Boiler Servicing? Are you looking for qualified gas safe engineers in Crystal Palace (SE19)? Our team has the professionalism to provide the expert service you need. Call us on 020 8670 4443 to discuss your gas needs. We take our profession very seriously. There is simply no room for errors. Trustworth guarantees that every aspect of gas safety is performed with total precision and care. 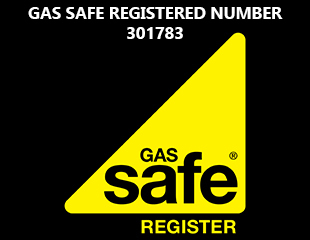 All of our engineers are legally registered with the Gas Safety Register. You can be absolutely confident that our fully qualified experts, will carry out all jobs to your satisfaction. We understand if you have been let down by other companies in the past. The first thing our engineers do on arrival is to show you their official registration card. Our registered number is 301783 (which you can easily check, before our visit). We aim to complete all of our work to highest industry standard. All of the safety checks follows every legal requirement closely. The number one rule with gas work is to never take any chances. Trustworth has built up vast experience over the years. We are truly regarded as being among the best. Our customers are very satisfied and happy with our work. Our Crystal Palace gas safe engineers can easily handle all types of repairs, servicing and installations. Each job they arrive at, we guarantee that all equipment and tools are in perfect working condition. Our trusted gas engineers cover the London boroughs of Lambeth, Bromley, Lewisham and Southwark. When faced with emergencies, our emergency callout option enables you to contact us 24 hours a day. We need you to understand how important it is to hire somebody who is legally entitled to conduct gas work. Do not pay a person or company who isn't fully qualified. Saving money is not as important as safeguarding health. There is no viable alternative when gas is clearly involved. Beware, the consequences can be fatal if you choose unwisely. Safety always comes first; we always work by that one golden rule. Some of the most talented gas engineers Crystal Palace has are with Trustworth Plumbing. We're fully committed for 365 days a year, to provide the highest quality work. We make sure we keep up with the latest legal regulations, industry requirements and innovative technologies. Adhering to complete professionalism is a mindset we have always had. 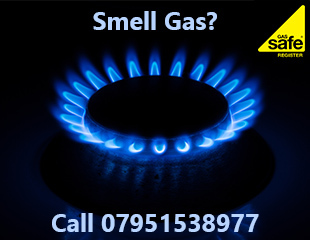 We can identify any existing problems or issues your gas appliances may have. This could be down to errors done by other companies on previous installations. If you live in Thamesmead and notice a gas leak at your property, call us right away. Never take any chances. Call our expert, emergency response team on 07951538977. Here is some helpful advice. We want you to (in a safe and quick manner) open all doors and windows, where relevant. In regards to the appliance where you suspect the leak is coming from; turn that off immediately. You should never switch that appliance back on. If possible, turn your gas supply off at the mains. Our emergency gas engineers in SE28 will be on their way to you. Out team will turn off your gas supply if you haven't been able to. For anybody displaying symptoms that their health has been affected by the leak, we recommend that they seek immediate medical attention..
For all gas appliance (boiler/cooker) installations and checks in Crystal Palace, make sure you use a fully qualified engineer. Do you need a new gas cooker to be installed by us? 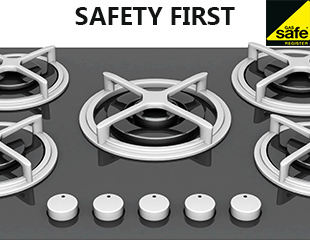 Do you need new gas hobs professionally fitted to an existing cooker? Some people make the error of choosing an unqualified person to install them. Why take that risk, just to possibly save money? It is both very dangerous and illegal to do so. Our gas safe engineers carry out the vital checks to make sure your new appliance is in excellent condition, Trustworth is among the leading companies in South London for expert boiler installations. We can install a range of boilers ( Baxi, Potterton, Vaillant, Ideal, etc). Our company always receives excellent feedback and reviews. Our gas engineers can help restore warmth to your home, in the winter.